1. Heat canola oil in a heavy skillet to 375 degrees. 2. In a bowl, add eggs, honey, salt, garlic powder, onion powder and pepper; whisk until combined. 3. In a resealable bag, add the crushed crackers and flour – shake to mix and then pour into a shallow bowl or plate. When the oil is hot, place each fillet in the egg mixture and then roll in the cracker mixture; slowly lower into the hot oil. Fry until each fillet is dark golden brown, flip over and cook the other side. 4. Place fillets on paper towels to drain and season with salt and pepper. Serve and enjoy! 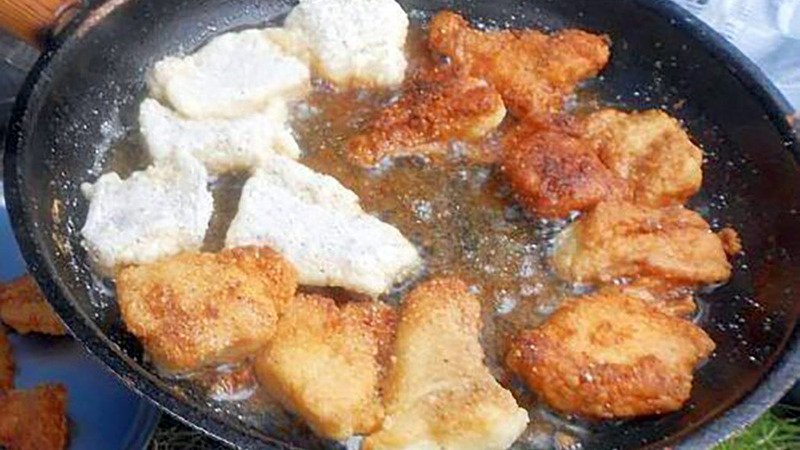 For more walleye recipes, visit MissHomemade.com.